Flying Lessons: How Alarming are Airport Ramp Accidents? 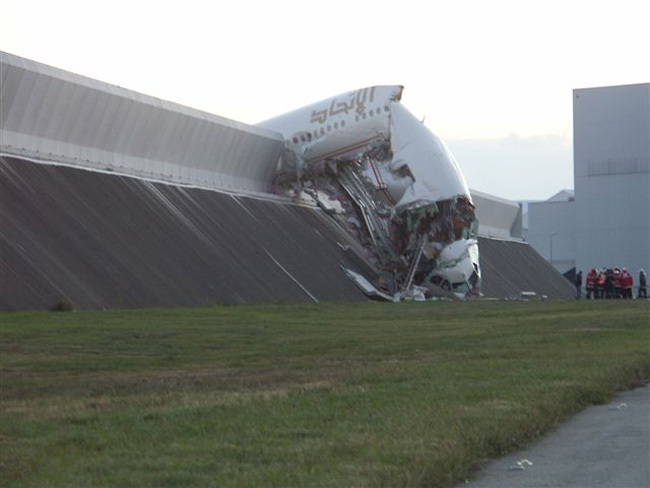 No one quibbles with the statement that ramp accidents are tremendously expensive, after all, it doesn't take too many dings in a $100 million airplane to start running up a serious repair tab. But a quarter of a million injuries? This just can't be. IATA, the source of the original numbers, is arguing with the FSS report. Anthony Concil, spokesman for IATA said, "ramp fatalities are anecdotally five to ten per year." He suggested that the quarter of a million injuries cited by FSS are on-the-job injuries, not atypical in any industry that deals with machines and moving vehicles. "To connect the number of on-the-job injury reports to ramp accidents misrepresents actual events." Curiously, while Jay Donoghue of the Flight Safety Foundation's office of publications admits there was some discussion over "the disparity in numbers", a week of exchanging emails with the Foundation yields no further explanation. The Air Transport Association tracks ground-based events, but the numbers are not shared outside of the association. So what do we know? Well, in the United States, when serious injuries or substantial damage are involved, a report must be filed with the Federal Aviation Administration. Bob Matthews - attendant of these statistics at the FAA - says that from 1996 to 2010 there were 46 fatal or serious injuries during ground operations at U.S. airports. 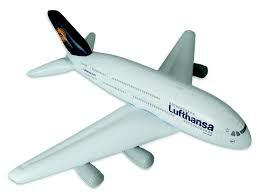 And while the U.S. is a busy aviation market, it represents just a fraction of commercial aviation worldwide. The U.S. had a fatality-free year in 2009 and 2010, Matthews said. In other countries it is a different story. At one unidentified airport in India earlier this year, a worker's hand was trapped in an retracting jetbridge and while the employee was rushed to medical care, she did not survive. At an Asian airport, a ramp worker was crushed under the wheels of a power supply vehicle. Ramp workers have been sucked into airplane engines, crushed in scissor lifts and hit by tugs. 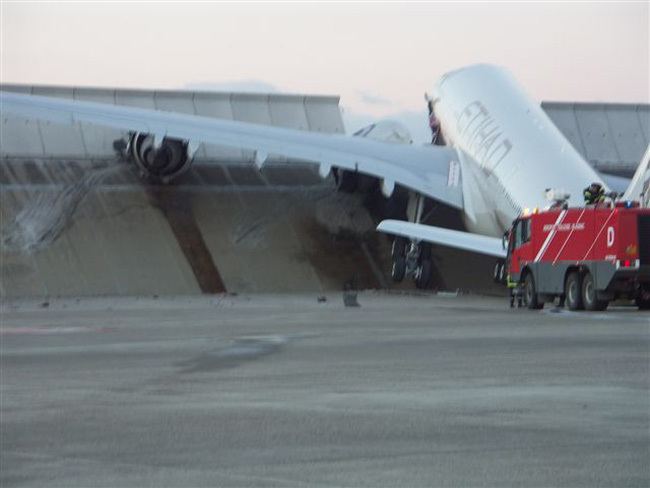 Five of the people on board this Etihad Airways A340 were injured when the airplane crashed through a containment wall during ground tests. A factor in the loss of the airplane? Wheels not chocked during engine and brake system testing. From simple mistakes do great losses originate. 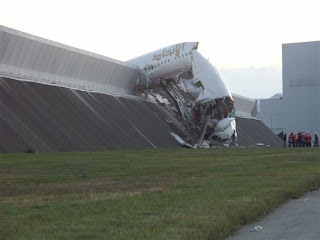 Whether the emphasis on the collision between an Airbus A380 and a Bombardier CRJ 700 is due to the fact that it was video taped and uploaded to You Tube, or an appropriate reaction to the latest illustration of something larger, there should be no argument that it is imperative that the industry get a handle on the size of the problem. That the assessment of two respected aviation institutions can vary so widely tells me that the effort to quantify the issue is long overdue. Last month, IATA began the first worldwide effort to gather meaningful statistics. Overstating the problem is no better than understating it. "Ground damage is a big issue but these statistics need to be related to their source," Tony told me while explaining that the FSS numbers just don't add up. They are not, he said, "the reality." The tricky part associated with tracking instances of ground accidents versus "ramp rash" comes from (1) actually experiencing an accident (which only happens when somebody boards the aircraft for the purpose of flying somewhere) versus expensive paint-swapping between aircraft -- or aircraft and ground equipment -- under other circumstances; and (2) the extent to which air carriers eat the cost of damage by more or less self-insuring -- deductibles are ruinous, usually starting in excess of $100,000 or more for Part 121 aircraft. They're expensive RPEs(*) and may be indicative of poor procedures, but such procedures are often poor specifically because they aren't part of the crucial flight safety procedures. I wouldn't call them alarming. Unless you have worked on the ramp at a major airport such as LAX in my case, it is hard to grasp how out of control things are. You have thousands of individuals driving all sorts of vehicles and ground support equipment all over the place. Many of these people operate in a very reckless manner. Many should not be out there in my opinion. They seem to have little awareness as to what is going on around them or how their actions impact others and their safety. I spent an illuminating few hours at O'Hare recently, watching the goings-on on the ramp. If workers demonstrate "little awareness as to what is going on around them," then that sounds to me like a teaching opportunity.